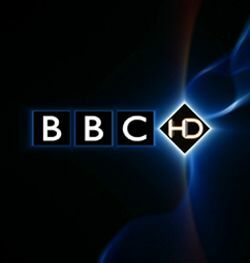 BBC may consider video-on-demand for 3D programmes | What Hi-Fi? If the BBC does anything with 3D broadcasts in the long term, it's more likely to be through a video-on-demand service rather than through one of its linear channels. So says Danielle Nagler, head of HD and 3D at the BBC, who was speaking at the 3DTV World Forum in London this week. Nagler believes the BBC's commitment to high definition will have to take precedence over 3D for the time being. "There are millions of UK homes that have access to HD but fewer than 200,000 homes that have 3D. So we have to really think about using a HD channel to show 3D content," she said. "To me 3D feels more instinctively like a VOD [video-on-demand] proposition in the long term, rather than a channel proposition for the BBC. "We have to see if 3D is a niche or mass appeal. It is difficult to research the early adopters of 3D in the home and make conclusions from this about what the mainstream will think about 3D." Currently the BBC is working on several projects in 3D, including Strictly Come Dancing and this year's Wimbledon finals.